November saw New Law player Keystone Law become the third UK law firm to float on the London Stock Exchange (LSE), following the trail blazed by Gateley two years ago and Gordon Dadds earlier this year. The mid-market challenger firm, which was granted an alternative business structure (ABS) licence in 2013, saw shares priced at 160p and raised £15m from its initial public offering (IPO). It will be known as Keystone Law Group plc. Following the trail blazed by Gateley two years ago and Gordon Dadds this summer, New Law player Keystone will become the third UK law firm to float on the London Stock Exchange (LSE) with shares to begin trading on 27 November priced at 160 pence per share. Mid-market challenger firm Keystone Law, which will raise £15m from joining AIM, is valued at £50m and will be known as Keystone Law Group Plc. Panmure Gordon has been instructed by the firm to act as financial adviser, nominated adviser and broker. Commenting on the listing, James Knight, founder of Keystone Law and chief executive of the new plc, said the intention to float marks a milestone in Keystone’s achievements so far. The announcement to float on the LSE follows Keystone’s conversion to an alternative business structure (ABS) in 2013 and an additional £3.5m cash injection from private equity firm Root Capital the following year. According to the firm, turnover stood at £26m for the financial year 2016/17. Keystone’s float follows in the footsteps of Gateley’s landmark listing in 2015 and Gordon Dadds, which became the second law firm to float in August after a reverse takeover bid. There have been mixed fortunes for listed law firms to date. While Slater and Gordon, which became the first law firm in the world to go public when it floated on the Australian Securities Exchange in 2007 has seen its fair share of difficulties – not least in the UK following its £637m acquisition of Quindell’s (now Watchstone Group) professional services division, arguably partners at Gateley have seen the law firm go from strength-to-strength, with a double digit increase in revenue of 16% to £77.6m for this financial year. Veteran partners at the firm also reaped the benefits of a recent share sale which saw select partners taking home almost £500,000 after a stake in the top 50 UK law firm was sold for nearly £10m just last month. Keystone Law has turned to boutique private equity house Root Capital to fund its growth plans, raising £3.15m in return for a 35% stake in its business. The capital will be used in part to expand the firm’s infrastructure, and partly to acquire an equity interest from founding partner, Charles Stringer, who is retiring as IT and finance director, taking on a non-executive position and acquiring a small share of the business. Keystone managing partner, Simon Philips, will hold a seat on the board, alongside IT director Maurice Tunney – who joined from Fieldfisher earlier this month and replaces Stringer – as well as managing partner James Knight, and directors Will Robins and Mark Machray. Keystone has also secured a financial director to start at the end of the year. Keystone successfully converted to an Alternative Business Structure (ABS) in October last year. Turnover in the last year has increased from £12.2m in 2013 to £14.1m in 2014, while Keystone also launched outside of the UK with Keypoint Law in Australia. Keystone brings in partners from Addleshaws, SGH Martineau and former GC of Yahoo! Keystone Law has hired into its most senior ranks a former partner from Addleshaw Goddard and SGH Martineau alongside a former general counsel (GC) of Yahoo! to bolster its disputes, corporate and TMT practices. Robert Harvey has joined Keystone’s disputes team of 32 lawyers after leaving Addleshaw Goddard’s partnership in November last year. He joins as a consultant as Keystone, whose lawyers work from home, has no partners after converting to an alternative business structure (ABS) last year. Harvey has experience of advising on large-scale commercial litigation and white-collar crime investigations for high-net-worth individuals and companies, including those in the FTSE 100 and FTSE 250. Andrew Stilton joins Keystone after 34 years at SGH Martineau, where he focussed on mergers and acquisitions and corporate finance. He was previously involved in the consultation process that culminated in the enactment of the Companies Act 2006. The third appointment is the former GC of Yahoo! UK, Liyen McCoy, who has joined Keystone’s TMT group. She joins with knowledge of the digital and telecommunications sector and sat on the management board of Yahoo! UK, where she was charged with all legal and regulatory matters. She also served as the company’s head of European compliance for three years. Keystone operates a performance-based remuneration structure rather than paying conventional salaries. 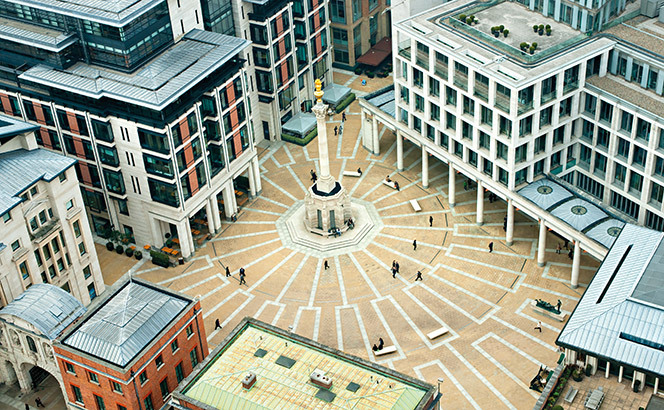 Lawyers receive support from a central London office, which provides meeting rooms and support staff and performs the firm’s administrative functions. Last year Keystone hired ten lawyers, including six partners, from firms including Berwin Leighton Paisner (BLP) and Davenport Lyons and Nokia’s director of legal and IP Stephen McCue. Addleshaw Goddard, meanwhile, saw DWF last week hire its former national head of employment, Andrew Chamberlain, to take on an identical role at his new firm. This shortly followed the news that global accountancy giant EY had hired Addleshaw’s corporate managing partner Philip Goodstone in a bid to build up its UK legal credentials. The virtual law space has a new entrant after former Mercedes-Benz UK group general counsel and head of compliance Iain Larkins this month left his role at the luxury vehicle company to found virtual commercial firm Radius Law. Speaking to Legal Business, Larkins, who has worked in-house for 14 years, says the fundamental premise of Radius Law is to provide good commercial advice in areas including contract, disputes and competition at a ‘highly competitive’ rate, something he says is still difficult to achieve at many traditional law firms. ‘We created a model where the lawyers are free to give good commercial advice and worked hard on finding the right lawyers. Most of the lawyers have previous commercial experience and in many cases, have done business roles in-house. It was a rigorous process to prove they would give good commercial judgment rather than just legalese,’ Larkins commented. The company is starting from small beginnings, with five lawyers on its books, who will all work from home and none of whom are expected to bring clients with them. ‘What’s attractive to lawyers wanting to join is there’s no expectation that you’ll bring a big following. Lawyers can come in and do the work they love doing without the hassle of having to bring a bunch of clients,’ Larkins adds. 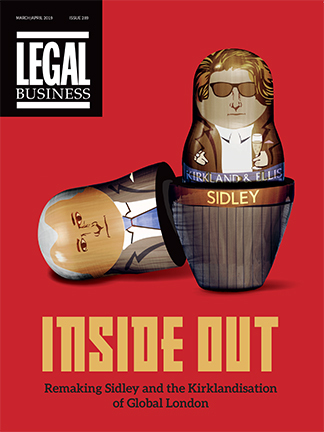 Similar small sized models to Radius Law have been steadily emerging across the sector, including virtual firm Mackay Carter Shaw headed by former London Stock Exchange legal chief Tom Mackay together with Jennifer Carter Shaw, a commercial lawyer formerly at Curtis, Mallet-Prevost, Colt & Mosle. At the larger end of the scale 130-lawyer Keystone Law this year converted to an alternative business structure and turned over £12.3m (an increase of 9.8% on 2011/12). Elsewhere, leading flexible resource providers such as Axiom and Lawyers on Demand (LoD) have traditionally sent lawyers to work with the client on site, although this summer LoD launched a new offering, ‘on call’, where lawyers will undertake legal work for other law firms, often from their own home. Radius Law received authorisation from the Solicitors Regulation Authority on 1 September. Keystone Law has hired ten lawyers, including six partners, from firms including Berwin Leighton Paisner (BLP) and Davenport Lyons. The firm, whose lawyers work remotely from home, satellite offices or client offices, has also attracted Nokia’s director of legal and IP Stephen McCue. Other senior hires include BLP environmental partner Andrew Waite; Davenport Lyons dispute resolution partner Trevor Sear;, Marriott Harrison corporate partner Dee Sian; Mundays employment partner Denham Bell; and Donaldson West commercial property partner Wendy Bishop. According to Keystone’s managing partner James Knight, the model means fee-earners are freed up from running a legal practice and that cost savings can be passed on to clients. Speaking to Legal Business about the hires, Knight said: ‘Most solicitors want to practise law but management meetings and committee meetings, coupled with billing targets, has caused frustration. There is also a lot of office politics. The atmosphere in a lot of law firms is not fun. ‘We offer value for money, there’s no duplication, for instance paying both a senior associate and a junior lawyer,’ he added. Part of the firm’s success is due to its bespoke IT system, ‘Keyed-In’. Knight says that this allows for lawyers to act seamlessly and that document assembly tools are available remotely, meaning that solicitors are not tied to an office. According to Knight, Keystone is well on its way to achieving its plans to increase its turnover to £25m over the next three years. Its clients include ING Real Estate, Lloyds Pharmacy, LoveFilm, Neal’s Yard, Sodexo and Stagecoach.